"He is a young man with no more than pedal-power for his getaway." "Home, however, is the magnet with the strangest draw for Zim, and at its most basic, the novel is a story of leaving and return": Julian Anderson on Ian Morris's new novel. 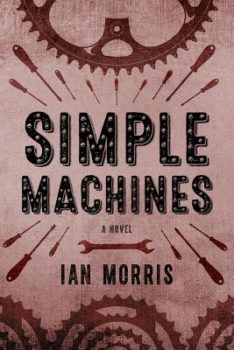 The past casts a long shadow on the isolated, island community of Ian Morris’s second novel, Simple Machines (Gibson House Press). With the Wisconsin mainland accessible only by ferry, the inhabitants of Otter Island have developed a deep sense of place. A tradition that dates to the departure of four brothers for the Great War propels the opening scene, in a ritual with canoes known as “Godspeed the Warriors.” It serves as a metaphor for the imminent departure of the eighteen-year-old protagonist, Tomas Zimmermann, or Zim, for the state university, in what turns out to be an unconventional coming-of-age tale. When the story begins, Zim has been awarded a prestigious scholarship to study history. As eager as he is to leave, it is also clear that he is strongly attached to his island. He enthusiastically describes its past and present, outlining the area’s history from Ojibwa battles with the Sioux to the French and Indian Wars, the influx of Scandinavians, Cornish, and Welsh, and finally the arrival of his own laconic and abusive father from exhausted, post-war Germany. Zim’s mother, tellingly, has made her escape early, and Zim is left trying hard to understand his difficult German father, an embittered, former cycling champion. Zim explains, “Sometimes I figured he’d used up all the sentimentality he could muster on that bike and had none left over for my mom or me.” Pops, who still uses some German phrases at home, is a conversational minimalist. His son, however, is not without sympathy for him, drawing up “A Short List of Things My Father Knew Nothing About.” This is followed by “A Shorter List of Things My Father Did Know About.” Poignantly, these items include Loss, Betrayal, and Disappointment. His father, rather than being proud and supportive, resents Zim’s leaving as it will deprive him of help in his bike repair shop. Zim’s two best friends had planned to go off to college with him, we learn, but in the end, they stay closer to home, and Zim is left to escape the island on his own. At the end of the summer, without discussion or resentment, he makes his way, not driven by doting parents in a heavily-laden car, but alone, on his bike, with his few possessions on his back. The solitariness of biking serves as the metaphor of Zim’s experience, both at home and at college. He is a young man with no more than pedal-power for his getaway. Zim’s arrival at the university sets in motion his struggles with a new culture and its expectations. There are early indications that the habitat is hostile. A physics graduate student actually laughs when Zim tells her he is a history major. Hoping for an easy A, he signs up for Beginning German, only to discover too late that the Frisian dialect he learned from his father does not match the Hochdeutsch being taught. This detail neatly encapsulates Zim’s misapprehensions and lack of preparedness for university life, further mirrored in his professor’s disappointment in his first history paper. Zim does not bring with him adequate preparation, does not understand what is required, and does not know how to rise to the standards. Part of Zim’s floundering may also have to do with how he conceives of history. Explaining his particular interests, Zim tells his professor, “I come from up north. I like that, the trappers and the Indians.” The professor warns, “It’s a fine thing for a student of history to take an interest in where he’s from, provided […] he knows the difference between history and folklore.” Not knowing this difference, the author seems to suggest, may be at the root of Zim’s failure to thrive, though Morris does not elaborate or further parse this distinction. Zim’s experience draws credibly and poignantly on what is not an uncommon experience for students. Few on the island support his furthering his education. Similarly at the college, even the likeable Professor Dooley, while agreeing to be lenient on Zim’s first disastrous paper, does little to reach out to a promising student who is floundering. And the author might have done more to further develop this dramatic tension between home and away, as well as to explore the natural comparison between how one conceives of history, its role in our lives, and the way we use it (or don’t) to navigate the present. Instead, Morris introduces two new elaborate plotlines, involving college friends and home friends, a loaded gun, and a drug-filled boat. And while the author clearly intends these plotlines to demonstrate the two worlds that tug at Zim, and he writes too well for the reader not to become absorbed in these plots’ outcomes, in the end both seem overly-complicated and extraneous. We are more interested in Zim himself and yearn to follow his struggles with the university system rather than seeing his chances highjacked by his friends’ reckless choices. Then again, perhaps this is the author’s commentary on how often the histories we hope to make for ourselves are written or influenced by others. Zim tells his story with an appealing modesty that might be borne also of insecurity. Alone, socially and academically out of his depth, lacking in confidence, unsupported–this is the substance of his predicament on leaving, compounded by a reluctance to open himself to his new opportunities. Instead, he longs to cocoon himself. He confides, “When I thought about home, it was always winter, in the three months when the ferry didn’t come […]. While the rest of the world carried on as always, we lived in a cryogenic suspension.” It is the island’s self-sufficient isolation that is the stuff of his homesick yearning. He is not seeking the world beyond Otter Island, after all. In the end, college mates prove insubstantial, and home friends make it impossible for Zim to continue with college. In the final, short third section, entitled not very hopefully, “Last Seen Wandering Vaguely,” Zim seems to resign himself to a life on the island. 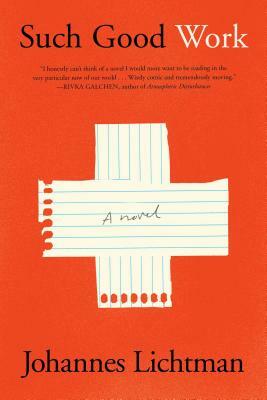 His return home runs counter to the conventional American coming-of-age trajectory, in which the small-town protagonist masters the challenges of the larger world. We have come to expect a launch, and are surprised then by a return. Neither the author nor Zim, though, seems to suggest that the return is deliberate or counter-conventionally triumphal. The return has, instead, an inevitability, or at most, a comforting familiarity. The island seems antagonistic, in fact, both to Zim’s departure and to his return. As he himself states, “I’d been one of them [the community] once, I would be again, whether they liked it or not. I wasn’t going anywhere.” As such, the conclusion is less the joyful triumph of place over experience so much as a slice of realism. Perhaps Zim doubted his own worthiness and also feared that leaving was a kind of betrayal. 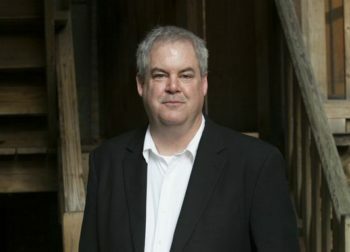 Hailed locally as “the young man who knows more than any of us about where we live,” he is recognized for his award-winning essays on local history, beginning with an admittedly plagiarized report. He resists this claim to fame, though, insisting that, “what I know about where I live I’ve learned from books or from what people have told me. I’ve added none of my own work to this history.” Is he regretting a lack of engagement? If so, his return home may be an affirmation, fulfilling his own need to become part of the island’s history, at whatever cost. As the days grow shorter, Zim imagines his life had he stayed at the university, thinking, “out beyond the quasars and the plasmatic clouds of space gas, Tomas Zimmermann was living a life I’d ridden my bike south to lead, of love and wealth and no remorse. Good for him.” It’s an acquiescence, with a hint of sadness and resignation. Though also ambivalent. We’re not entirely sure, as the novel presents Zim’s return as neither accomplishment nor failure. Rather, Zim keeps his cards close to his chest. But the reader hopes that he will not succumb to his father’s bitterness as he resumes life on the island.